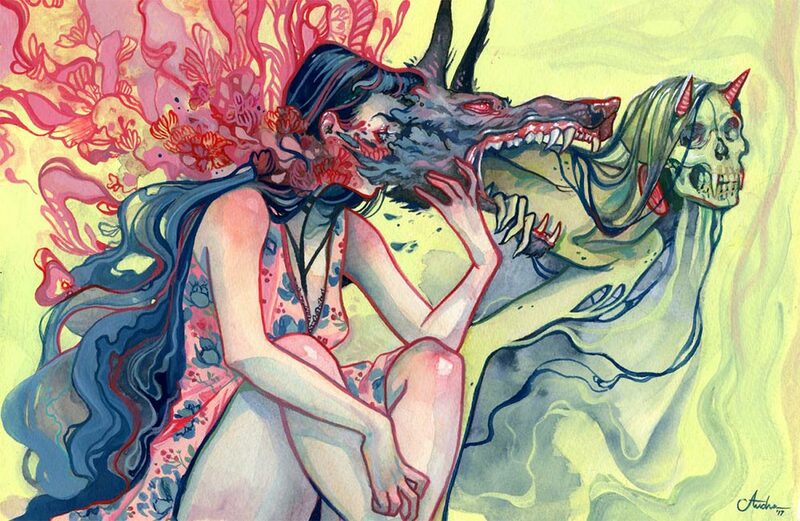 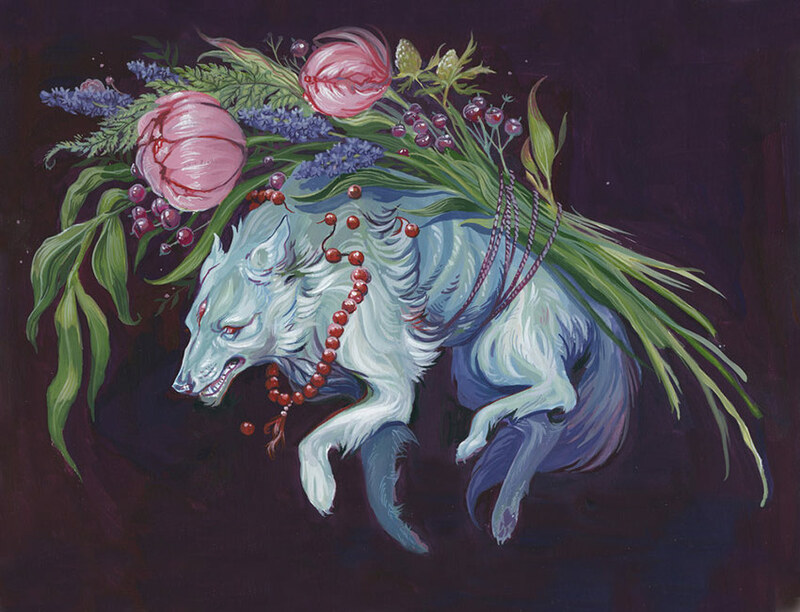 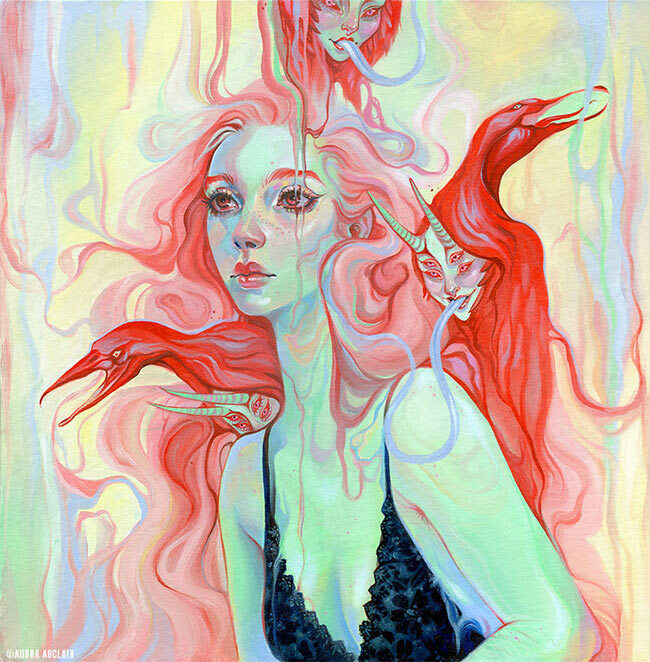 Audra Auclair is a Canadian artist whose work has spanned across many mediums. 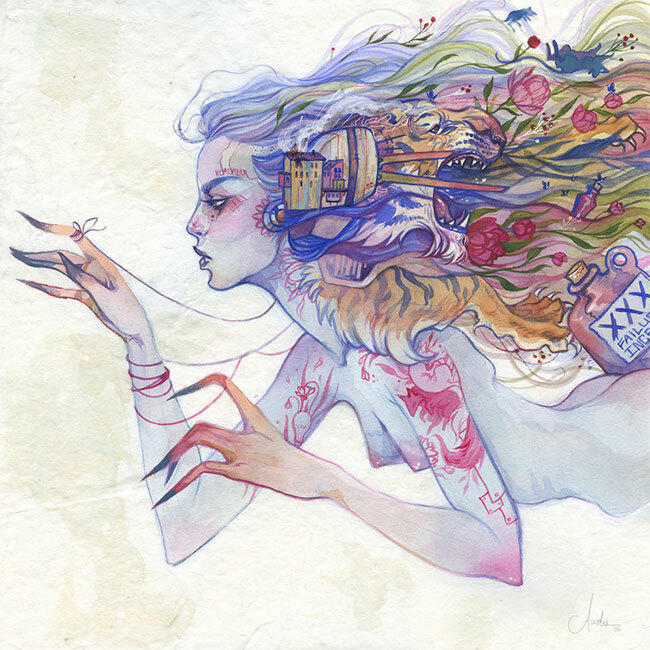 She has been exhibited both locally, as well as internationally in Australia and America. 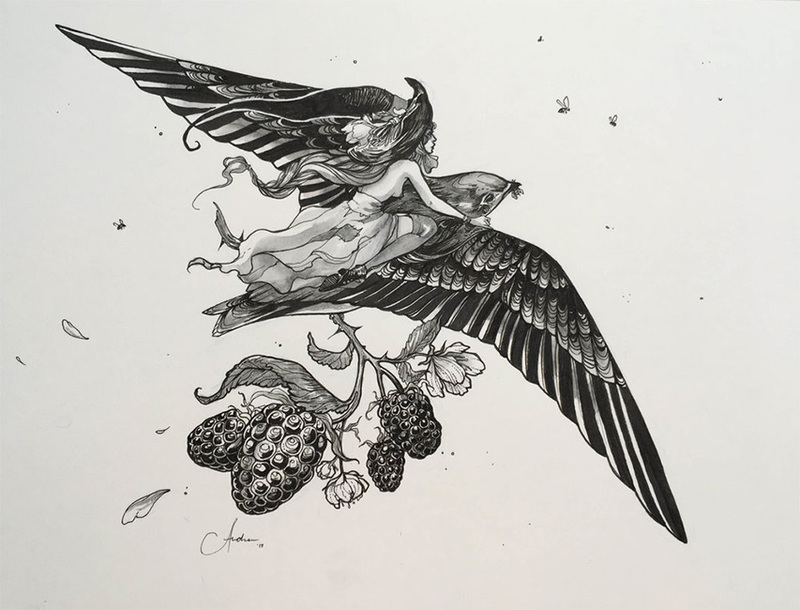 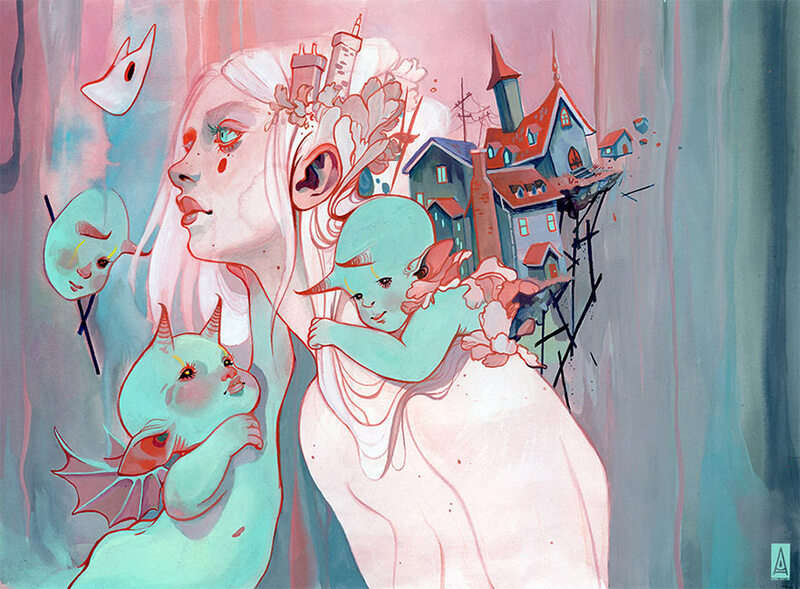 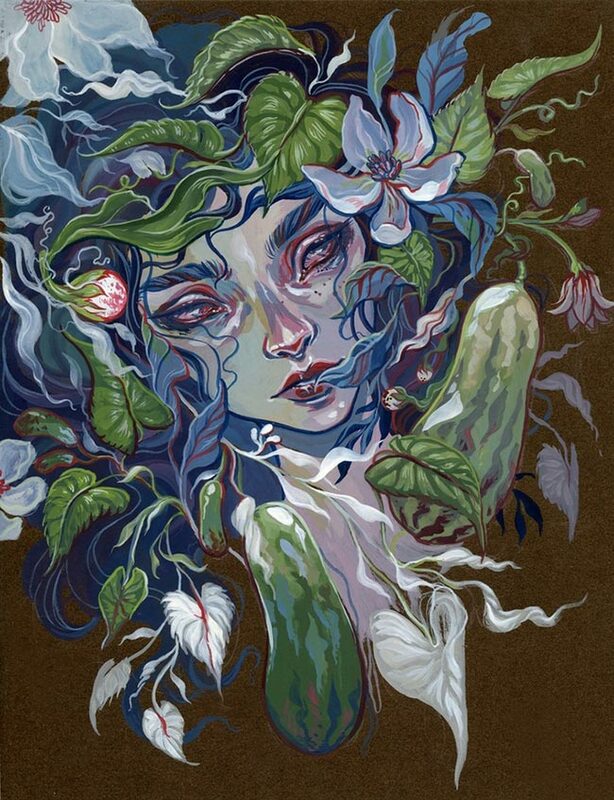 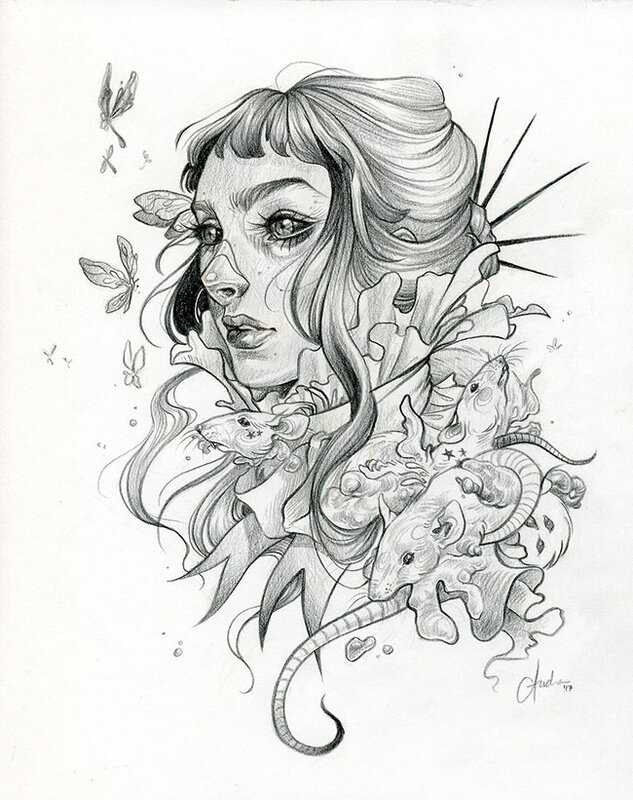 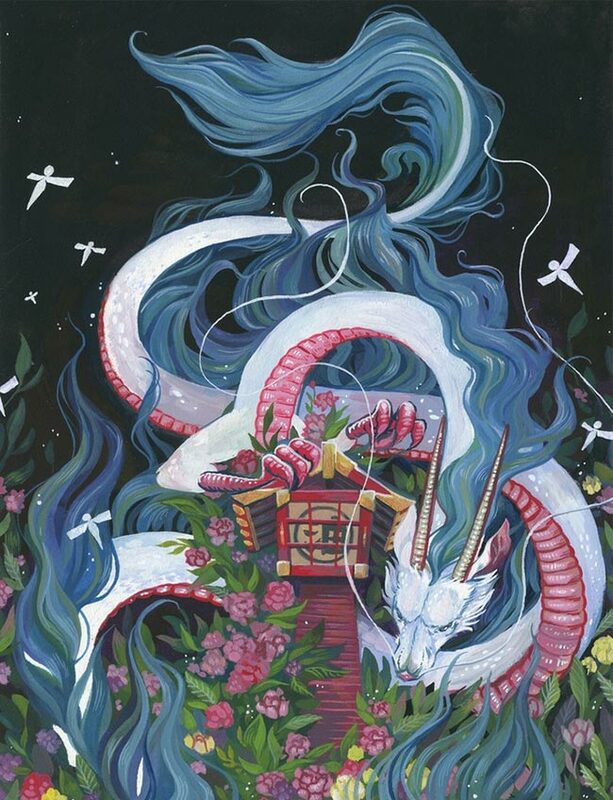 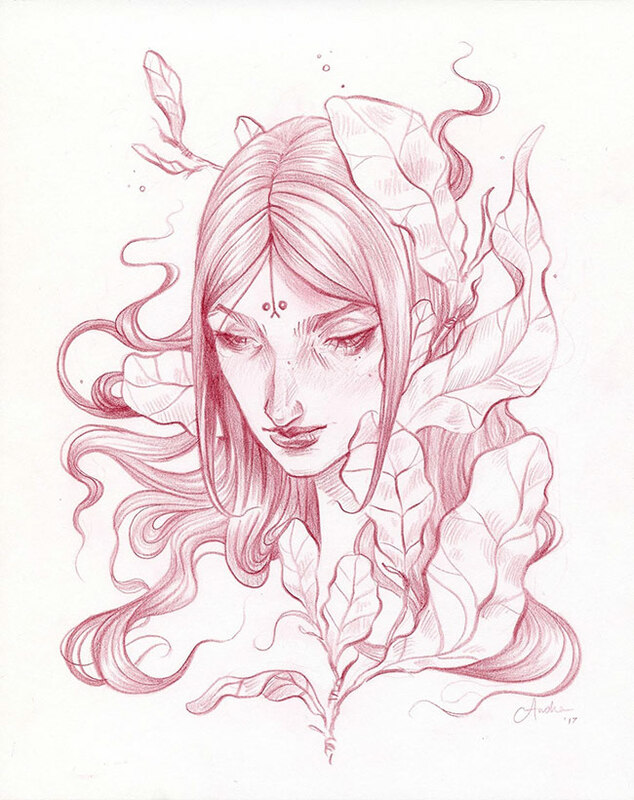 Although she has achieved a Graphic Design degree, graduating with honours, she instead specializes in exploring the surreal and beautiful female form with her transcendent fusion of fine art and illustration. 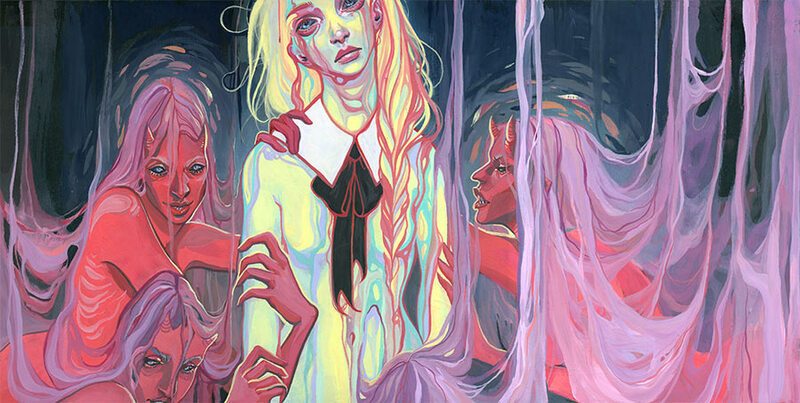 She is praised for bringing awareness to current issues through a blend of pop art and fantasy. 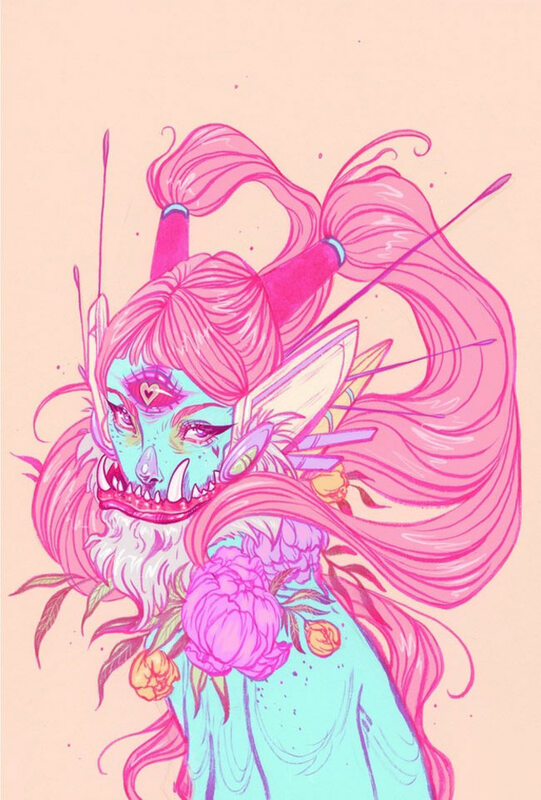 In he spare time she livestreams her art process on Twitch and also makes YouTube videos that focus on art, mentality and life, with a very honest and calm atmosphere.